improve and miniaturise its offering. can stay hidden under your clothing. graphs, reports and to share, if wished. given by the manufacturers or is available on their websites. 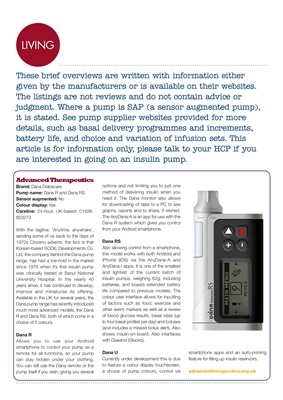 are interested in going on an insulin pump. feature for filling up insulin reservoirs.